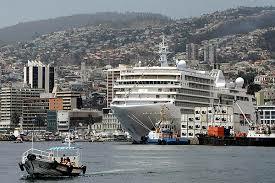 The recent international cruise season 2013/2014 recorded a fall in the number of passengers on board landfalls and 8% (196 arrivals) and 5.1% (to 219,416 people), respectively, after two consecutive years of increases. According SERNATUR, in recent years, progress was made in cruise tourism; succeeded in reducing the cost of beacons and the restriction was removed casinos. "But that was two years ago and the cruise lines schedule their visits with about two years in advance and this season he is scheduled for the period in which we can not yet see the true effects of these events," he said.